Obie award winning Nilaja Sun returns with a specialized intensive designed to facilitate students, who are working on their own solo pieces, in honing the craft of writing and performing a dynamic one person show. Students will discover how their body, voice and unique story telling abilities can set their solo pieces apart from rest. Be ready to move, create and get motivated to finally tell your story, inspire audiences and be the change you want to see in the world! Read about her current one person show in The New Yorker Magazine. Perfect for writers/performers working on one person shows or looking to begin a new one! Wilma Rehearsal Space in South Philadelphia, Gerritt Street Studio, 1213 Gerritt Street, Philadelphia, PA.
Limited parking so arrive early to park. Public transit: The Broad Street Line has 2 stops within 3 blocks and the #45 bus runs down 12th street. Come prepared to share a 15 minute excerpt from your one-person show or show-in-progress. Nilaja Sun is the solo performer and writer of the Off-Broadway smashes No Child… and her new show, Pike Street. For her creation and performance of No Child… and its subsequent national tour, Nilaja garnered 21 awards including: an Obie Award, a Helen Hayes Award a Lucille Lortel Award, and two Outer Critics Circle Awards including the John Gassner Playwriting Award for Outstanding New American Play. Theatre credits also include The Commons of Pensacola, Einstein’s Gift, Time and The Conways, Huck and Holden, and The Cook. 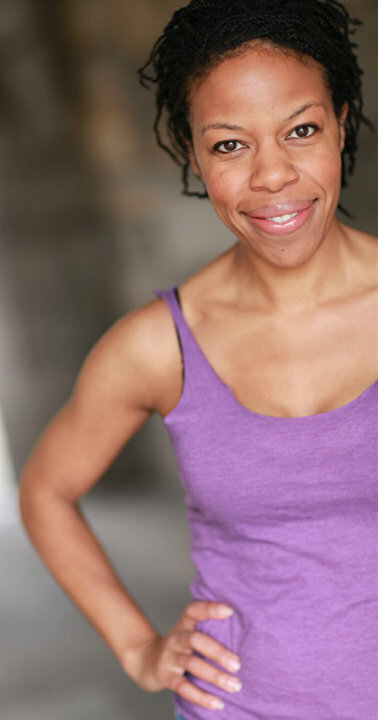 Tv/Film credits include Madam Secretary, Louie, 30 Rock, Law & Order: SVU, Unforgettable, The International, and Rubicon. As a solo performer, her projects include the critically acclaimed Blues for a Gray Sun (INTAR), La Nubia Latina, Black and Blue, Insufficient Fare, Due to the Tragic Events of…, and Mixtures. Nilaja was awarded the soloNOVA Award for Artist of the Year by terraNOVA Collective and was recently awarded a NYSCHA grant. A native of the Lower East Side, she is a Princess Grace Award winner and has worked as a teaching artist in New York City for over 15 years. “PlayPenn classes offer a chance to take a break from the mundane, from the frenzy of the everyday, and to focus on your writing for a few hours, or a weekend, while gaining insight and inspiration from some truly excellent professional playwrights and teaching artists. PlayPenn’s opportunities are ones I feel lucky to be exposed to.